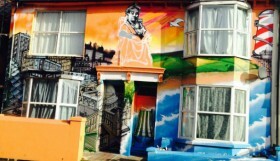 Published On June 3, 2015 | By We Love Brighton | Only in Brighton! 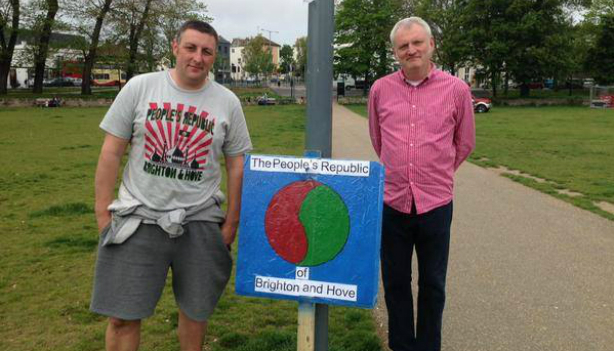 You may have seen some buzz lately around a new group on Facebook called The People’s Republic of Brighton & Hove (PRB&H). 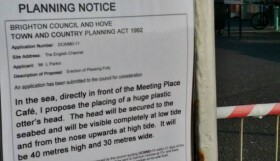 Following the General Election the group has become a source of support (and humour) in their quest to distance Brighton & Hove from the rest of the nation (well…maybe). 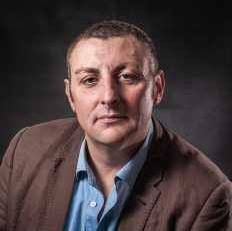 In their words ‘…in these difficult times’ their page is a place to ‘… reflect everything that’s sane and progressive about our fantastic city.’ Check out our interview with Peter Styles, Minister for Miscommunication, below. How did The PRB&H come about? The PRB&H was formed by my friend Jason Smart [Honorary Figurehead] as a response to the disappointment of election night and the grim picture which was the constituency map of the South East caused by our utterly retarded electoral system. Jason got more than 3,000 clicks that night and contacted me the next day and asked for help. So now I spend some spare time co-ordinating press and social media for the Republic – a bit like Alistair Campbell, but without the war, bombs, death, seriousness and class betrayal. Actually I have a lot of time for Alistair Campbell for his skillset, but not necessarily what he used it for. Your Facebook grew a huge amount in the week after the General election, what kind of things do you post on there? We try to keep the Glorious Republic’s posts a mixture of the lighthearted and the serious. I don’t approve of online petitions, because 99% of them are just a waste of energy. We’re looking to provide a space where people can find comfort and support in these dark days of so-called Tory majority government – they only got 37% of the vote so strictly speaking they have no authority to rule, do they? It’s very content hungry, and so we’ve appointed about 40 editors from across all walks of life in the city to add balance and take some of the pressure off. Academics, comedians and people in the arts as well as those of us who just hold down a regular day job – or not! We’re not politicians, so we don’t have to pretend to like anyone, nor do we have to pander to people with appeals to the mythical ‘hard working family’ the main parties yabba on about. We’re constantly on the lookout for new editors, contributors, or just those who find the PRB&H entertaining / engaging. In terms of my favourite post – I love the material supplied by local stand-up Phil Lucas – a set of spoof Brighton commemorative stamps and a localised version of I-Spy. Both of these received thousands of clicks and no doubt raised chuckles across the city and beyond. What are your plans for the future for The PRB&H? In terms of the future of the Republic, we’ll keep an open mind. We’ve already raised lots of money for our three nominated causes (BOAT, Liberty and FareShare) and have a number of events planned where we hope to raise more. Essentially, the Republic is a space where people can find digital and actual shelter from the present government, as well as hopefully not take the situation we face too seriously. However, we hope it will also be a place where people can band together to spend their time campaigning for positive change such as electoral reform. 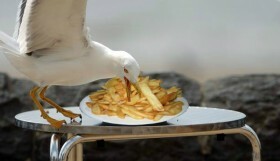 Brighton launches ‘Betty Ford for Birds’ clinic because Seagulls are addicted to chips!